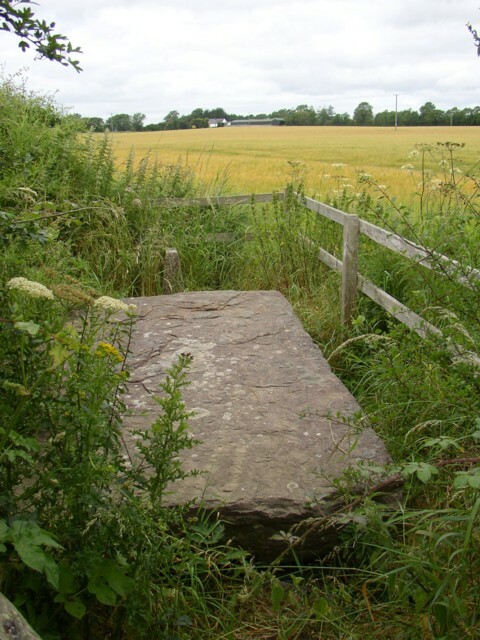 This is described here: Link as being 2.31 x 1.75 x 0.23m and having an ogham inscription translated by Hitchcock in 1849 as "Here lies Corbmac ó Cuinn". The NGR of S5236 given must be rounded up. This page has been viewed about 461 times.